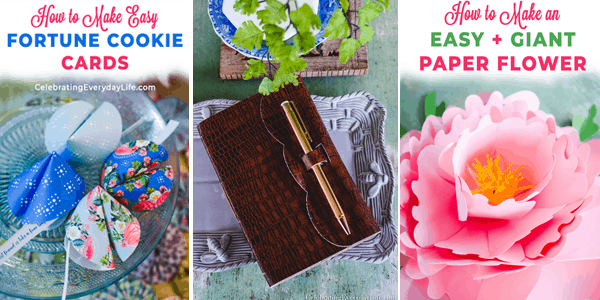 We can’t wait for you to see the features below, and we look forward to seeing what you have to share with us this week! 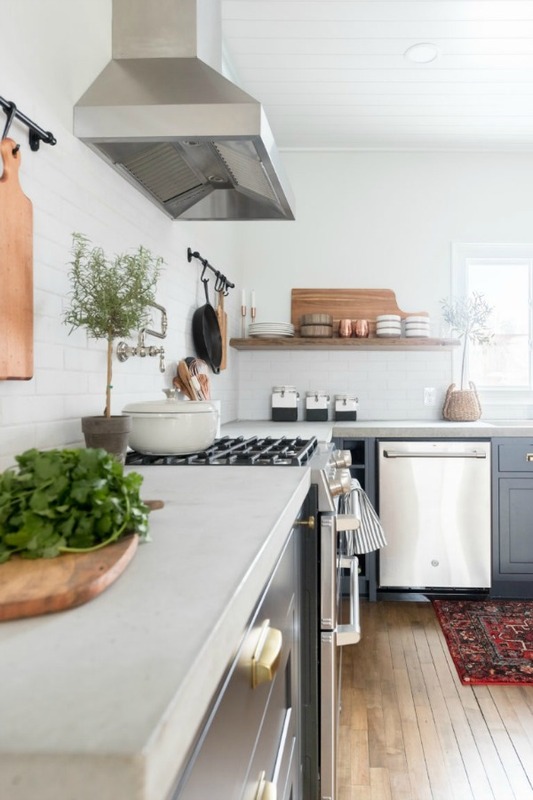 We can’t get over this amazing Rustic Modern Kitchen Renovation from Ashley of Cherished Bliss. So many stunning elements all in one room! And Ashley provides a breakdown of costs, which is always helpful to see when considering a renovation of your own. 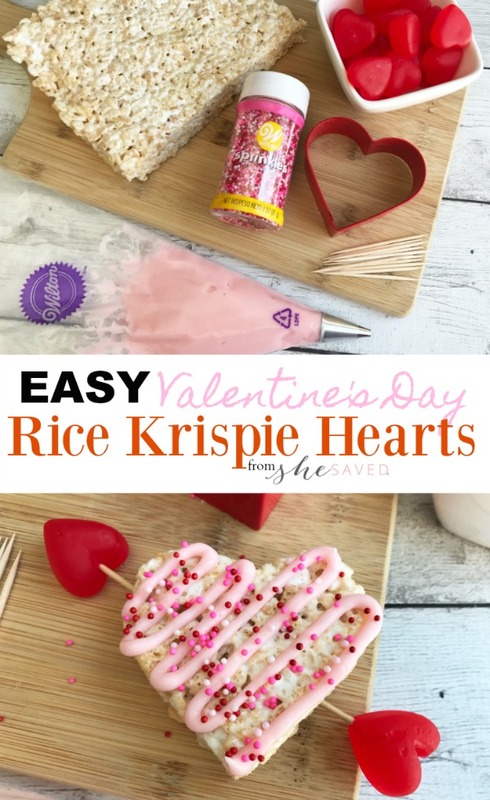 Keri Lyn of She Saved shares how to make these adorable Valentine’s Day Rice Krispie Hearts. Great for enjoying at home with family or as classroom treats! Doesn’t this image, from Jamie at So Much Better With Age, just draw you in?! We love that there is so much personality and charm but that it doesn’t look cluttered. 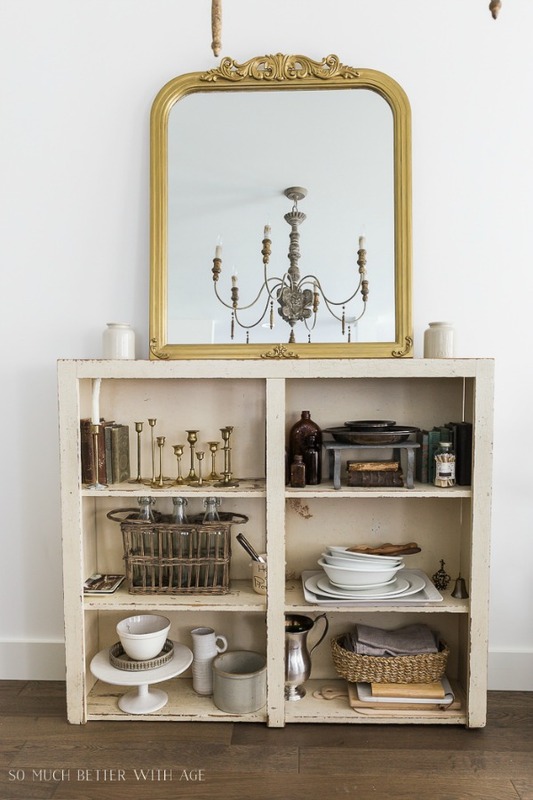 Find out Jamie’s tips for Becoming A Minimalist But Keeping Some Collections. 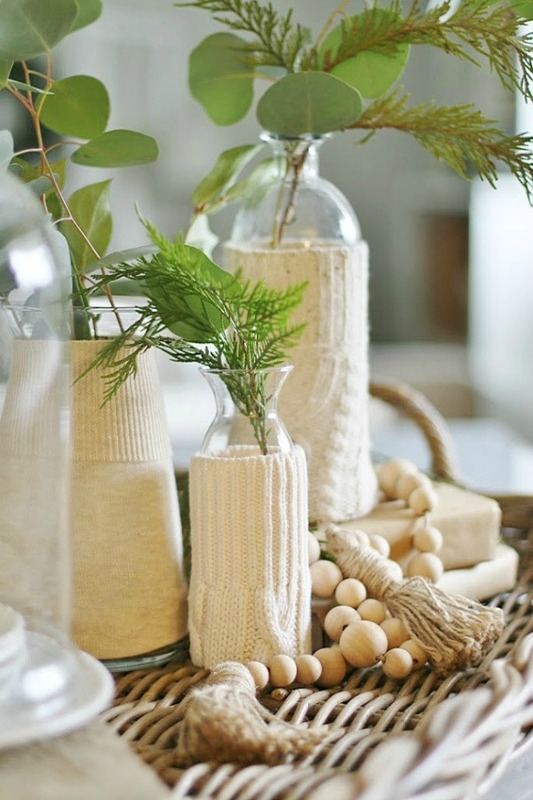 And this Five-Minute DIY Sweater Vase Project from KariAnne over at Thistlewood Farms may just be the perfect little DIY for your weekend! 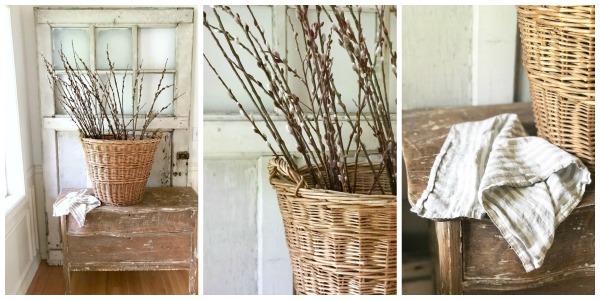 We love the idea of bringing more signs of nature into your home during this winter season. Ready to show us what you have been up to? Well, then ~ Link up!! A link back is to one of our blogs is appreciated. Link up your own work, no ads, or giveaways. Linking gives us permission to share a credited photo on our social media accounts. Thank you so much for hosting, Susan. I have always enjoyed joining this link party! Thank you Susan for co-hosting the 340th Sundays At Home. Have a lovely week. Thank you for the party. Hope you’re having a lovely weekend! Thanks for the party Susan! Have a wonderful week!